Wild Cats Ref 1035 It is amazing to think that so many different species of large, wild cat really exist in the world today. Despite this many are very rare and endangered species. 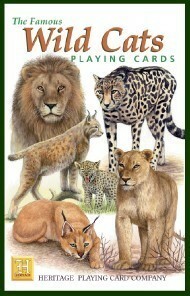 This enchanting pack includes the Siberian tiger, jaguar, Bengal tiger, cheetah, lions and cubs.